With a membership at StudiOne, you get access to all 3 pillars of fitness under ONE membership — flexibility in yoga, strength training in FitCamp and cardio in Run Group. Our mission is to inspire our students by providing experienced and supportive coaching that will help them reach goals and strengthen bodies, minds and spirits. Flexibility is a vital piece of your workout routine. Come connect your mind, body and spirit in one of our signature classes. 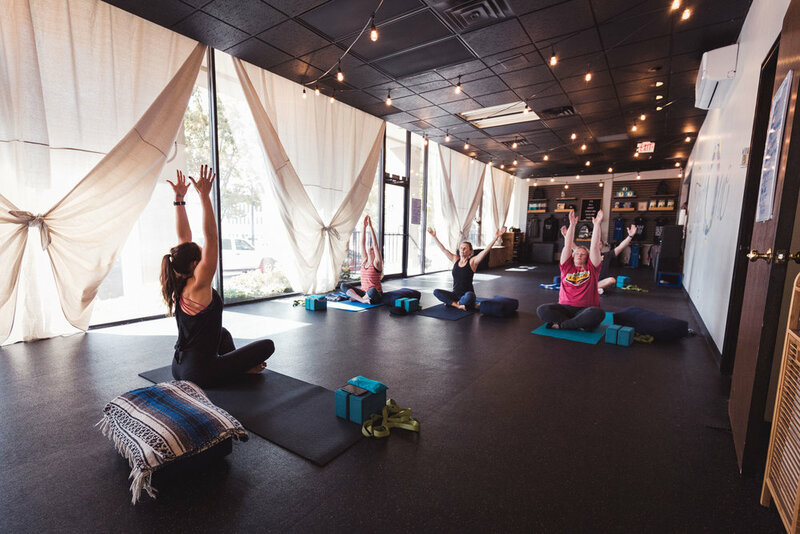 Our classes are perfect for all stages of yoga practice. We welcome the most beginner and experienced yogis! This strength training series is designed to burn fat and build strength. In twelve weeks, you will develop a strength training habit and learn heath and wellness tips that are applicable to your longterm goals. If you're looking to look and feel your best, surrounded by the most supportive community in Tulsa, join us! Calling all runners and non-runners alike! Cardio is a key piece of achieving your fitness goals. Whether you’re wanting to get your heart rate up or training to run a specific race, we’ve got options for you! We train for all fitness levels, from running for general fitness, your first 5k or your next half marathon.